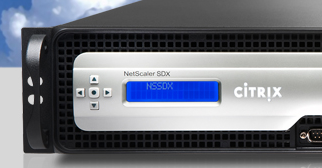 Citrix Systems recently debuted NetScaler SDX, a new virtualized networking platform designed from the ground up to serve as the “front door” for virtual datacenters and clouds. With the NetScaler SDX platform, customers can run numerous virtualized NetScaler instances on a single purpose-built physical appliance with full multi-service, multi-tenant support. Each virtual instance is a complete NetScaler environment, incorporating all the functions needed to deliver apps and services with the best performance, security and reliability, including load balancing, caching, compression, SSL VPN, SSL offload, federated identity and app firewall. NetScaler SDX is the latest addition to a growing family of NetScaler platforms designed to fit the needs of customers of all sizes and business requirements. Customers looking for a solution for traditional application networking, for example, can choose the NetScaler MPX hardware appliance product line, and customers who want all the power of a NetScaler in a software form factor can choose the NetScaler VPX virtual appliance. NetScaler SDX platforms include the SDX-17500, SDX-19500 and SDX-21500, offering performance up to 50Gbps, has been available since April 2011.